It’s not hard to see why The Sims is one of EA’s biggest selling titles, since the appeal is so universal: build houses, ruin lives, play god. But whilst originally designed as an architectural simulator, the design of The Sims has grown far beyond its humble, pseudo-3D roots. Developers are a sacred lot, spending hours at the behest of marketing to create things for The Sims to go into the new expansion packs. 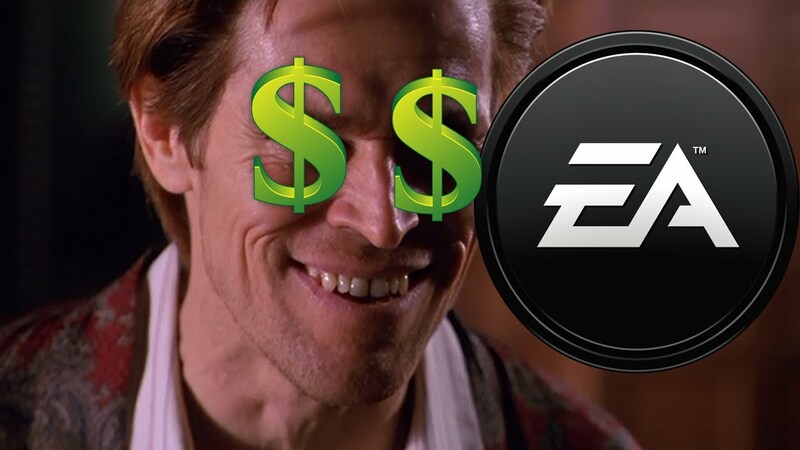 Whilst you might think the modding community is taking away the job of developers by creating their own content, you’d be wrong – EA will always make money off The Sims. It’s a universal truth, like the laws of motion. What modding does is gives the developers, and the ever-evil marketing department, focus – they look at the modding community and think “hey, guys seem to really want a Mafia career path” (for example. Personally I’d love a Mafia career path, but maybe that’s just me…) and off the developers go to develop content that you want. Otherwise they’d just be flying blind. Does anyone even still use the -orz suffix? No? Just me? Okay then. Moving swiftly along from that little embarrassment, it can’t be denied that building mods teaches you a lot about the games industry and computer science. “Oh no! I’m learning!” I hear you cry, as you get ready to burn those notebooks full of notes you’ve made about how to make custom objects in The Sims 3. But wait, this is actually a Good Thing; not only do you get a game that’s beautiful and created exactly in your image, but you learn vital skills in things like 3D modelling and texture creation that the industry loves. Whilst I understand it’s not the aim of every gamer to end up in the industry, it’s the want of a substantial enough amount of you to make this worthy of argument 2 (plus the rest of you can still put down modding on your CV. I wouldn’t call it ‘modding’, I’d probably call it ‘volunteer custom content creation and distribution for a valuable franchise’, but whatever). What’s the modding community without the ‘community’ part? A bunch of you guys sitting around posting stuff on the Internet, that’s what. And whilst that wouldn’t be too bad by itself, the sense of involvement and enjoyment one gets from a modding community as inclusive and far-reaching as that of The Sims cannot be rivaled. What’s more, is that if you’re attempting to get into modding yourself, the community will always have your back; whether you’re stuck on what to call your super-television, or can’t understand a line of code, there’s always someone out there who can help (once you get past the cretinous few who will call you a noob, of course). So to finalize, I’d like to say that I worked in the industry for a little while, and learnt a lot about how modding affects your favourite franchises, most notably The Sims because, hey, there’s a lot of you modders and potential modders out there. And it only affects them positively. So keep on shining on, you crazy modders, doing what you do best. We, by which I mean I (a shameless modded content user), salute you. Liz Felton is a games enthusiast and writer from Essex, in the United Kingdom. She blogs at The Homely Coder and you can find her on Facebook. Thanks for your article, it has definitely opened my eyes to a whole new world. I have never thought of modding, what great idea. I love taking advantage of all the Mods in different games,especially the Minecraft Mods, but never thought to create one of my own. Would you have any tips for anyone who would be interested in breaking into the Modding community. I honestly would not know where to start. Do you have any websites to recommend or any programs that you can use? What type of coding would you suggest learning, to be able to create mods? I have never tried the Sims Mods, but we now know how I will be spending my night. I plan on supporting the modders. I have found all these fantastic Sims mods, I plan on using them and finding more.